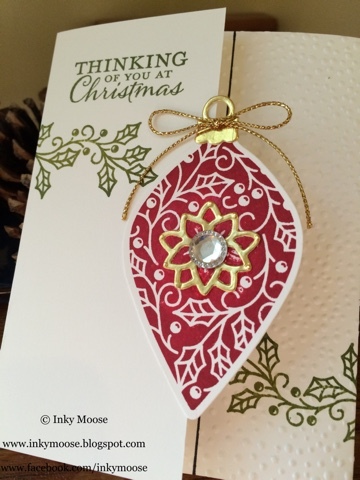 Here's project #2 for this weeks 'Embellished Ornaments' class. Pinterest by Kim Smith (craftingbuddy.blogspot.com) and changed it up a little. Thanks Kim for the inspiration! This card is a little different from your regular two sides card. 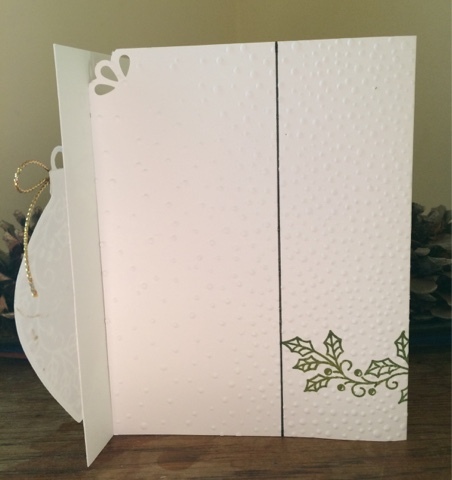 It has three sides and plenty of room to write a message!